Island hop through the Greek Islands. 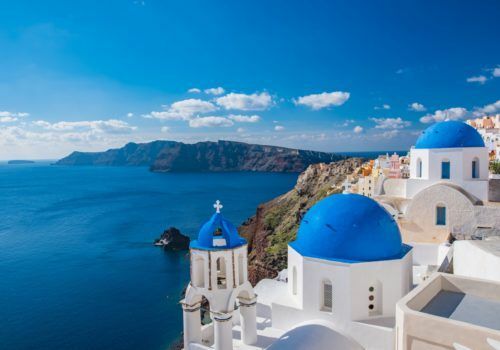 Visiting Athens, Mykonos and Santorini, this deluxe itinerary allows you to explore both historical Greece and relax in the sumptuous Greek Islands of Mykonos and Santorini in ultimate luxury. 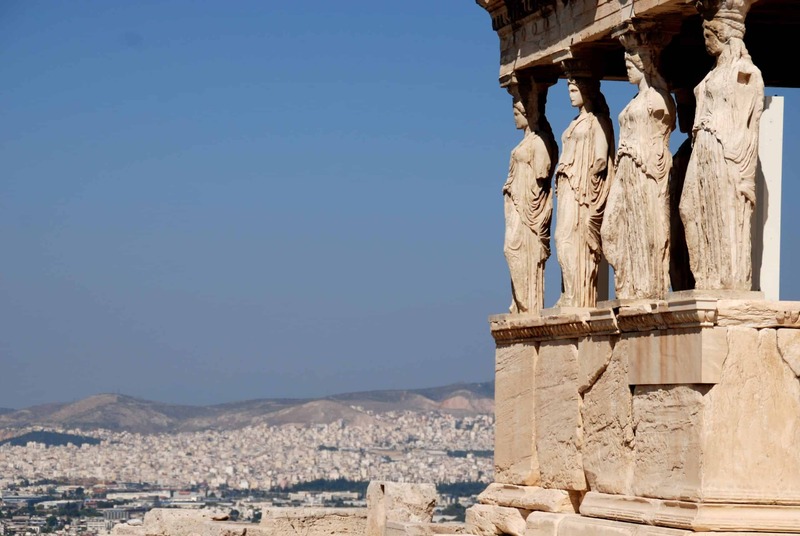 Explore the highlights of Ancient Greece, you’ll spend some time in the heart of Athens before heading by boat to explore and unwind in the islands. 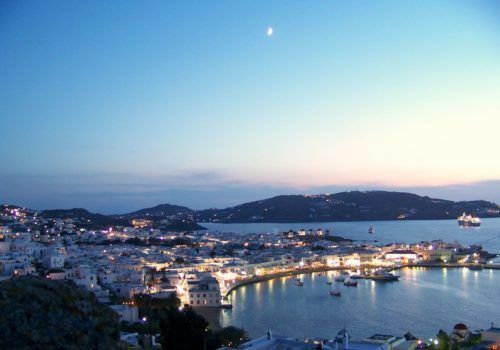 You’ll have three nights in cosmopolitan gay-friendly Mykonos. It has a wide range of restaurants and bars and all the islands offer incredible sunset views. 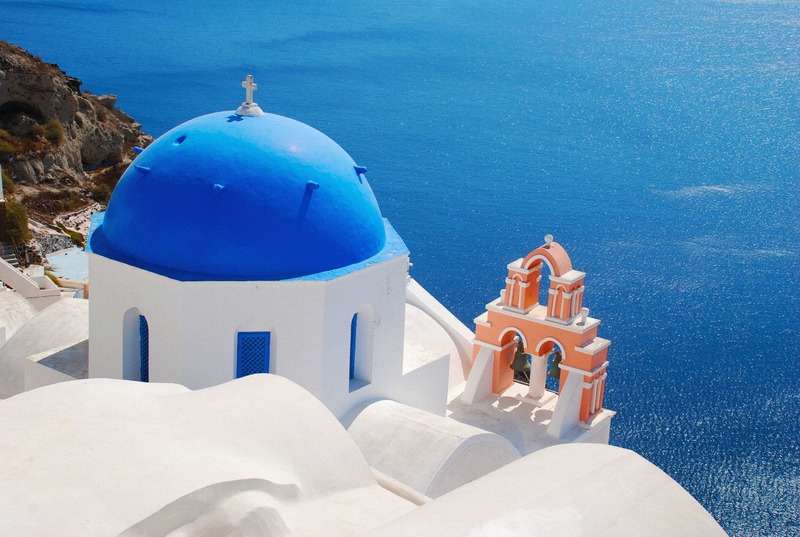 It’s then time to head to romantic Santorini. In the islands, you’ll have a chance to relax and also explore by catamaran the waters around Santorini. Stay in the best hotels each destination has to offer. 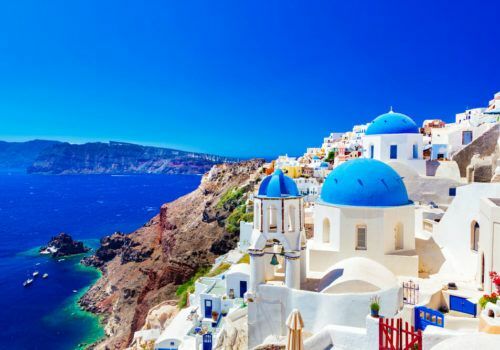 From well known gay destination Mykonos to the beautifully romantic island of Santorini you’ll enjoy the finest the Greek Islands have to offer. Upon arrival into Athens Airport, you’ll be met by your driver who will take you to your hotel. 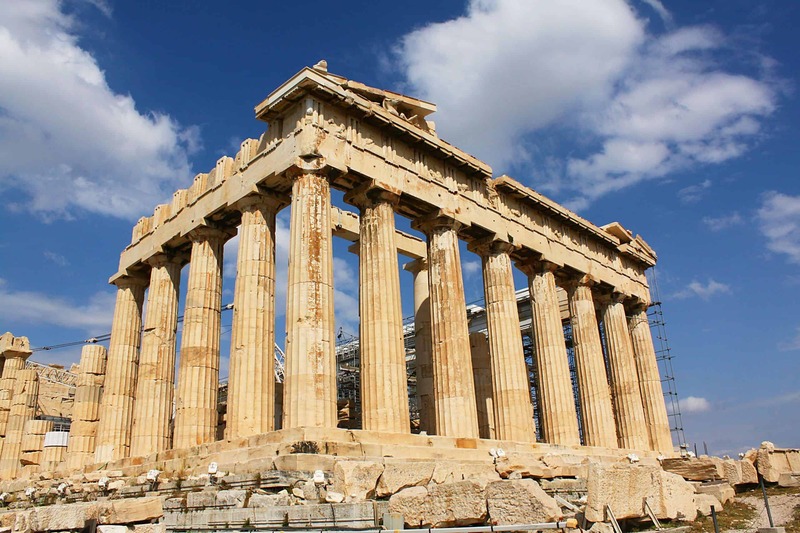 After check-in you’ll have the rest of the day at leisure to explore the historical city of Athens. Upon arrival in Mykonos, the rest of the day is yours at leisure to explore the cobbled streets of quaint Mykonos town and enjoy the many bars and restaurants the island has to offer. After breakfast, you’ll set off on a half day tour of Delos. With your guide, you’ll take the ferry to the sacred island of Apollo and Artemis, one of Greece’s most important historical, mythological and archaeological sites. 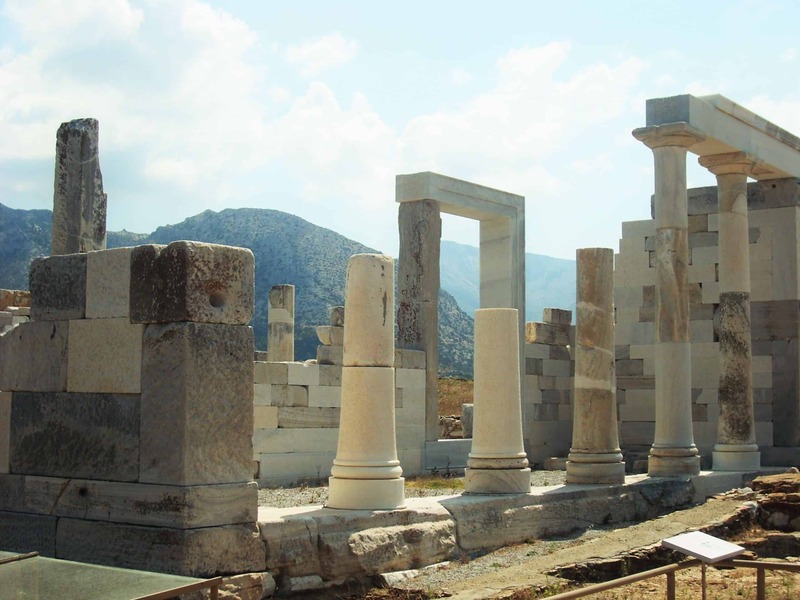 The whole territory of the deserted Delos is protected by UNESCO as one of the heritage sites of the world. You may visit, amongst others, the remains of the Temples of Apollo, the sanctuary of Artemis, the old city and theatre and then, walk down the celebrated Lion Street. Also, in the museum of Delos, you can admire Archaic, Classical, Hellenistic and Roman Sculptures, a collection of vessels from all periods as well as small items of everyday use and more. The rest of the day is yours at leisure to enjoy the beach back on Mykonos island or explore further. 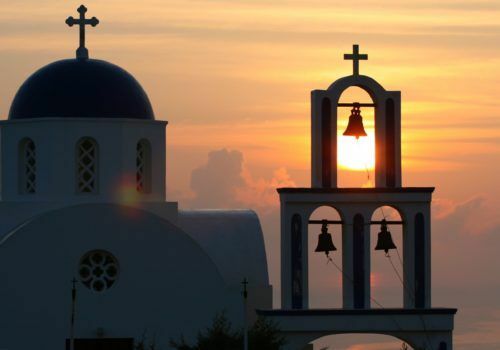 After breakfast, check out from your hotel in Mykonos and head to Mykonos port in order to take the ferry to Santorini. You’ll be met by a driver at the ferry port who will take you to your hotel. The rest of the day is for you to explore or relax. After breakfast, we’ll take you by coach to Athinios Port where you’ll embark on a traditional sailing boat heading for the famous volcano. Climbing up to the top of the crater you will learn the history of the place and explore the six craters. The next stop will be at the hot springs, where a cool mud bath is welcome after the hot volcano. At Thirassia Island you can explore for an hour and a half, taking in the sights and sounds of the traditional village of Manolios and the Greek way of life. The last stop is in the village of Oia. We will disembark at Ammoudi Bay, climb the steps up to Oia or take a donkey ride to the top. You are then free for around three hours to enjoy the beautiful sunset or have a drink in one of the cafeterias with stunning views of the Caldera cliff. The coach will then take you back after sunset to your hotel. Spend the rest of your time in Santorini at leisure before flying direct from the island during the summer season or returning to Athens for your onward flight.